Totally different company and different position. 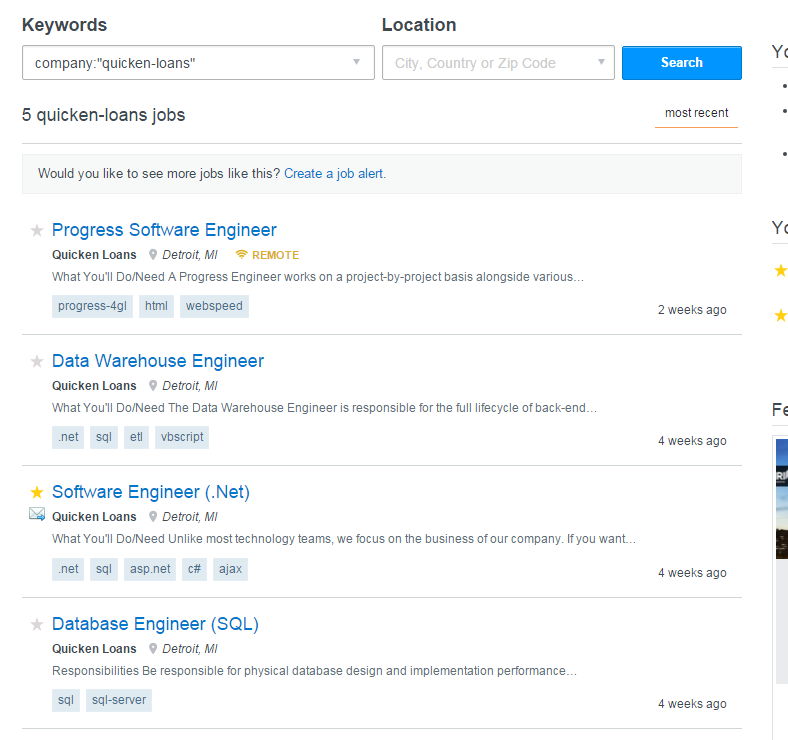 The filtered jobs are not really filtered at this point...however if I click the << search results link on the left (under the search jobs tab). 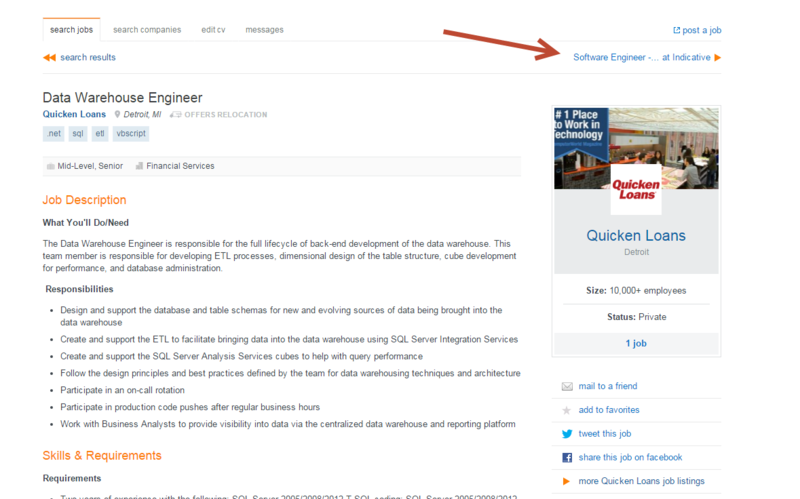 I'm taken back to my results for quicken, then I click the Search button and now I can click on a job and see the correct behavior. 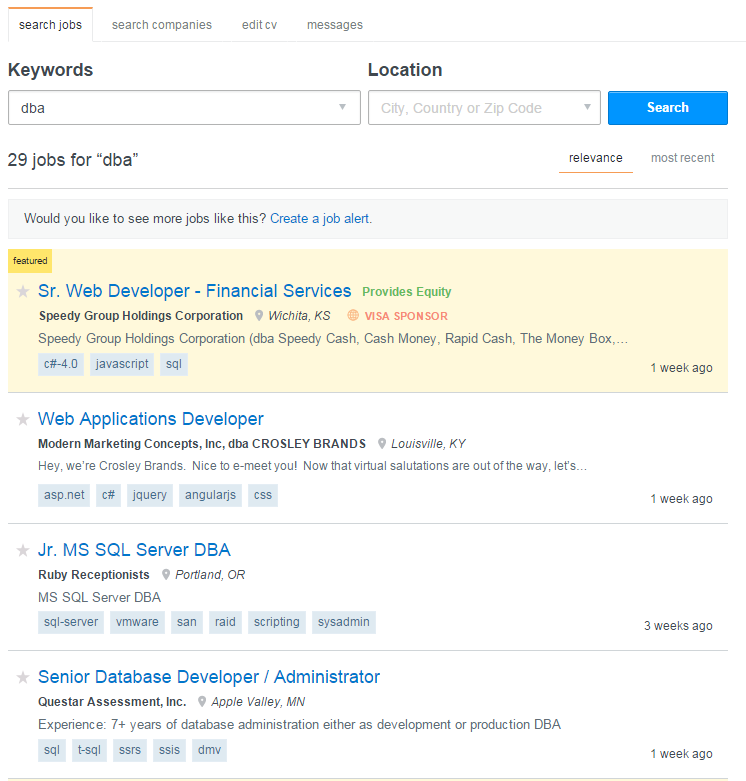 There is some sort of bug here that not maintaining the list of jobs when you are on a job listing page. Thanks for the report. I've spent some time to eliminate a bunch of edge cases around job search to make all of this consistent. Hopefully this should be the last of the weirdness!